What happens when two top-notch bartenders and a legend named Jack get behind the bar at Ignite Creative Services? A lot of amazing cocktails. Ignite recently hosted Jack Daniel’s Brand Ambassador, Eric “ET” Tecosky, for a mixology collaboration with our lead mixologist, Tony Tuttle. 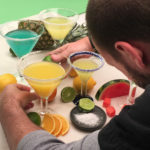 Eric and Tony spent three days crafting a plethora of imaginative cocktails that feature the Jack Daniel’s family of brands. These perfectly-balanced cocktails break the rules of where you might think Jack belongs. 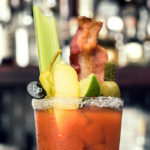 Each recipe they developed successfully proves that the world of Jack Daniel’s expands far past just the realm of soda. A drink that’s the color of midnight and looks like it could easily be part of any cutting-edge beverage program? Yep, there’s Jack in that. An elevated Piña Colada that would be the perfect addition to any resort’s beverage menu? Yes, Jack’s in there too. Watch this dynamic duo create Jack Daniel’s magic in the video above.